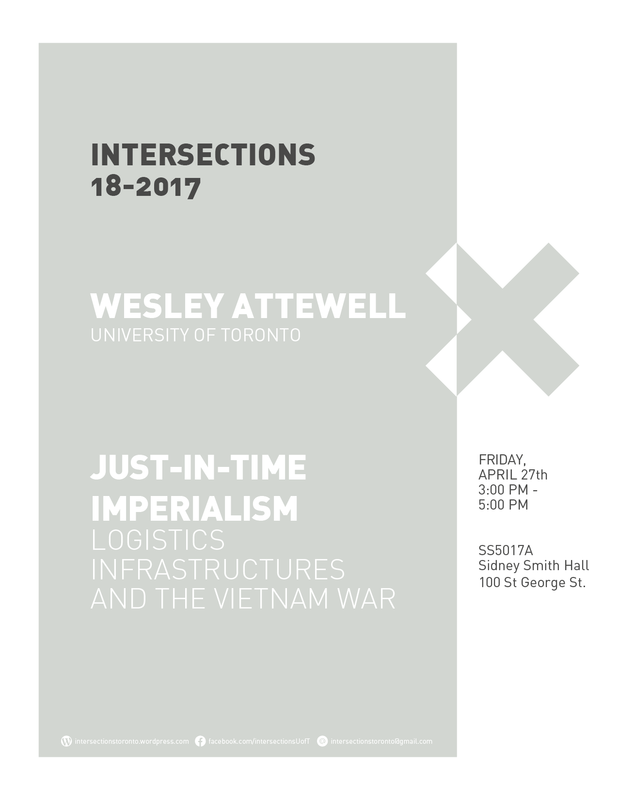 In this talk, Attewell argues that an important, yet understudied consequence of the Vietnam War was an imperial turn towards modern logistics management. Drawing on archival documents collected from the National Archives and Records Administration, he tracks how the US military and the United States Agency for International Development increasingly championed logistics management as a way of solving some of the “frictional” supply problems that threatened to paralyze the transnational war effort in South Vietnam. As part of this process, imperial agents cobbled together various infrastructures of supply and provision into a broader, more complex system for managing the transpacific flow of life-sustaining and life-eliminating commodities between the United States and South Vietnam. In this way, the Vietnam War served the US imperial state as an experimental laboratory for repurposing logistics from a capitalist science of economic management into an imperial technology of rule and pacification. In 2017, Wesley Attewell completed a PhD in Human Geography at the University of British Columbia under the supervision of Derek Gregory. He is currently a Faculty of Arts and Science Postdoctoral Fellow in Geography at the University of Toronto, where he is being mentored by Matthew Farish, Deborah Cowen, and Emily Gilbert. He works at the intersection of human, geography, international relations, and history to trace the transnational entanglements of militarism, imperialism, and capitalism. His first book project, Developing violence, is under formal consideration at the University of Minnesota Press. His current research program, entitled The means of empire, explores how logistics has become central to development and humanitarian activities in theatres of conflict and emergency.